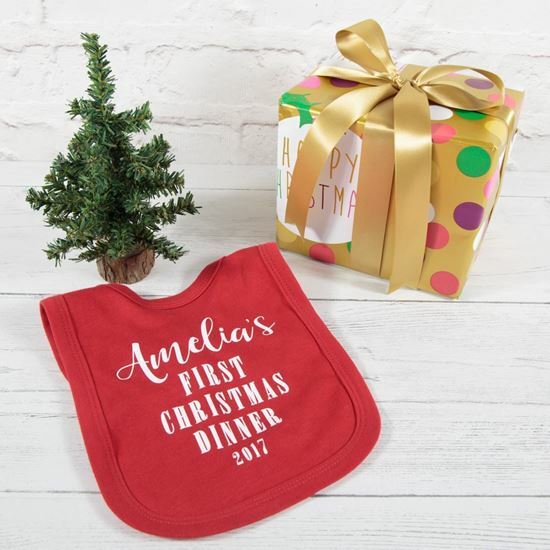 If your little one is going to be celebrating their first Christmas this year, our cute baby's first Christmas bib is perfect for their first Christmas dinner. 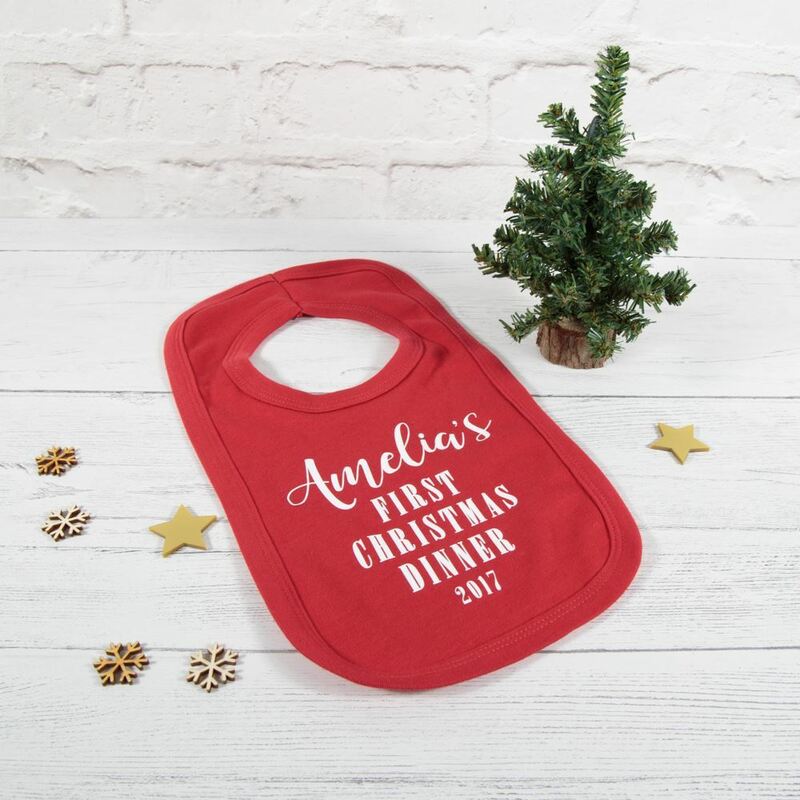 If your little one is going to be celebrating their first Christmas this year, our cute baby's first Christmas bib is perfect for their first Christmas dinner. Our pull over baby bib is ultra soft, big enough to mop up any spills and double layered to make it more absorbent. We also sell first Christmas sleepsuits and pyjamas for older brothers and sisters. Each bib measures 35cm x 19cm and comes with your child's name and the year, along with the wording "first Christms dinner". Please enter the name of the child exactly as you would like it to appear when you place your order.